Dr. Mills was born in Crown Point, Indiana and raised in Pittsburgh, Pennsylvania. He graduated with his Doctor of Pharmacy Degree from Purdue University College of Pharmacy in May 2017. 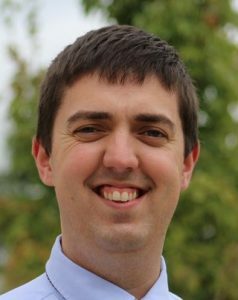 Prior to coming on board as a PGY2 with Ole Miss, he completed a PGY1 Community-based Pharmacy Residency at Walgreens and Purdue in Indianapolis, IN. His professional interests include Family Medicine, HIV/AIDS, service implementation, and academia. 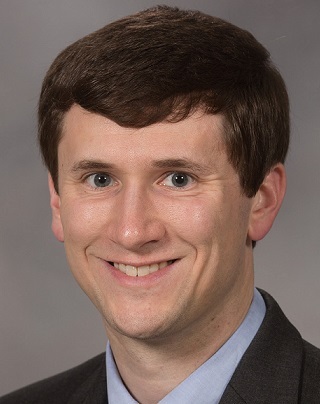 Upon completion of his residency, Dr. Mills plans to pursue a clinical specialist position at an academic institution with opportunities to teach and precept both students and residents. In his spare time, he enjoys hiking, exploring local coffee shops, brewing beer, and all things Purdue! Dr. Mills is “Ever Grateful” for the unending love, support, and encouragement from his family, friends, and mentors around the globe. Dr. Phan is from Fairfax, Virginia. She earned her Bachelor of Science degrees in Biology and Business Management and Administration from Virginia Commonwealth University (GO RAMS!). She earned her Doctor of Pharmacy degree from the University of Maryland School of Pharmacy. Her professional interests include pediatric ambulatory care, academia, transitions of care, and expanding the role of a pharmacist in the outpatient setting. In her free time she enjoys trying the restaurants in Jackson, cheering on the New England Patriots, and traveling. 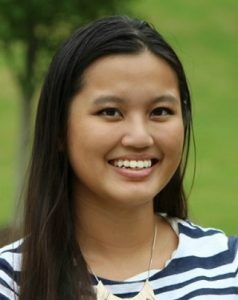 Dr. Phan would like to thank her family, friends, and mentors for their endless support and guidance. She is excited to be at Ole Miss and is thankful for the opportunity. Hotty Toddy! Dr. Board was born and raised in Roanoke, Virginia. After graduating from Roanoke College with a Bachelor of Science degree in Chemistry, Dr. Board pursued his Doctorate of Pharmacy degree at Presbyterian College School of Pharmacy, where he graduated in May 2018. His professional interests include academia, ambulatory care, cardiovascular disease, diabetes management, infectious diseases, and service implementation. Upon completion of his residency, Dr. Board plans to pursue a residency position in a PGY2 ambulatory care program. In his spare time, he enjoys cooking, lifting weights, and watching NFL football. Dr. Board is humbled to be called an Ole Miss Rebel. Dr. Van was born and raised in Honolulu, Hawai’i on the island of O’ahu. She received her B.S. in Biology and B.S. in Pharmaceutical Sciences at the University of Mississippi, and also graduated with her Doctor of Pharmacy Degree from the University of Mississippi School of Pharmacy. Her professional interests include ambulatory care with an emphasis in cardiometabolic disease states, community practice and academia. Upon completion of her residency, Dr. Van plans to pursue a PGY-2 in Ambulatory Care. Outside of pharmacy, Dr. Van is a self-proclaimed “foodie” who loves to eat and critique restaurants. She also loves hiking and hanging out at the beach, traveling, and cheering on the Ole Miss Rebels. Dr. Van would like to sincerely thank her family for their love and support, as well as her friends and mentors for their ongoing encouragement and guidance. Hotty Toddy! Dr. Walker was born and raised in small-town Canton, Mississippi. Prior to and after graduating from Mississippi State University, Dr. Walker worked in an independent community pharmacy in Canton for several years. He then pursued a career as a pharmacist, receiving both his B.S. 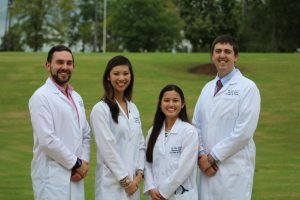 in Pharmaceutical Sciences and Doctor of Pharmacy degrees from the University of Mississippi School of Pharmacy. His professional interests include community pharmacy, ambulatory care pharmacy, and academia, all of which allow him to impact the lives of patients and students. He also has a passion for missions, which blends his professional interests in pharmacy with his desire to share the message of Christ with the world. Outside of pharmacy, Dr. Walker enjoys most anything that lets him experience the great outdoors, especially tennis, canoeing, and hiking. Dr. Walker considers himself extremely blessed to have such an amazing network of family, friends, and colleagues to support him!